Who: Anyone who wants to participate in the (re)birth of the second-oldest faction. What: A political-themed plot with lots of planning and little combat. If you aren't into verbal sparring matches or debates, this plot probably isn't going to be very interesting for you. When: Right now. That's right, people - the Elysian Celestial Empire is a Player Faction once more. Why: Simple - I was so moved by the genuine concern and honest passion expressed by @xImmortalxBeauty and @Zack, I just had to do something to satisfy their sincere requests. Appearance: With his imposing over-eight-feet-tall physical presence, well-muscled physique, classic white angelic wings (complete with the gigantic wingspan God had given to his chosen creations), neatly-groomed black hair, piercing amber eyes, and stark facial features, Barachiel is a stark reminder of Elysia's ancient times of glory - and a stunning example of the Patrician's elegant power. Position/Occupation: Senator; formerly an Exarch and a high-ranking officer in the Elysian Planetary Defense Force. There's two religious ones and two political ones; although it's effectively impossible to be a part of both religious parties or both political parties, most Elysians - especially Senators are affiliated with one political faction and one religious faction. My apologies if that's a bit confusing, as I typed this up in somewhat of a hurry - please send me a PM either here or on Discord if you have any questions. 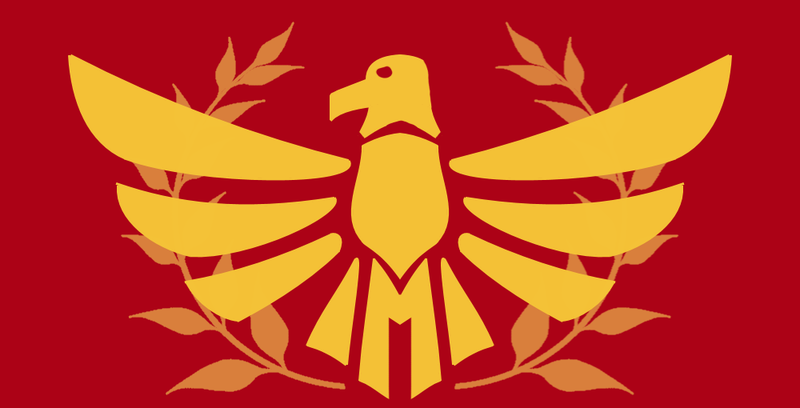 The Populares consist primarily of Caelisolans (though also include a handful of Patricians) and comprise 47.51% of the Senate, or 238 Senators. They (unsurprisingly) favor populism, the reduction of the vast social inequity between Patricians and Caelisolans, the removal of the restrictions barring Caelisolans from the higher orders of civil servants, the equalization of the distribution of psomi between Patricians and Caelisolans, and the reformation of the notoriously Patrician-biased welfare and education systems. Most Populares tend to be relatively youthful and representatives of the poorer suburban and agrarian districts. The Optimates, in contrast, consist entirely of Patricians and make up 48.90% of the Senate, or 245 Senators. They (also unsurprisingly) favor conservatism, the preservation of the pre-existing Patrician-dominated aristocracy, the preservation of the restrictions barring Caelisolans from the higher orders of civil servants, the preservation of the current distribution of psomi between Patricians and Caelisolans, and the preservation of the welfare and education system's current structure. Most Optimates tend to be relatively old and representatives of the wealthier suburban and urban districts. The Sacrae (Purists) comprise primarily of Patricians (along with a dozen or so Caelisolans) and tend to favor the belief that Elysians - and only Elysians - have souls, the concept that Elysians are superior in affairs both temporal and spiritual, and that non-Elysians should be looked down upon with, for barbarians have no place whatsoever within the ranks of the Church or society. Their ranks include 223 of the 501 Senators, 3 of the 7 Exarchs, and 73 of the 159 Episkopos. The Mollesco (Moderates), on the other hand, consist of Caelisolans (plus a couple of Patricians) and tend to favor the belief that all sentient individuals have souls, that Elysians are equal in all affairs, and that those who wish to worship the Lord (and correct the errors of their beliefs) should be allowed to do, regardless of race. Their numbers include 220 of the 501 Senators, 3 of the 7 Exarchs, and 71 of the 159 Episkopos. Yes, it’s typed up in wiki-ready code. Will put character into wiki...today. Apolpgies for the lack of a post this week @META_mahn and @paladinrpg - due to a hectic work schedule and familial politics (essentially being told "either return the laptop or find another place to live"), I haven't really had the time to sit down and write up a post. After an unacceptably-long delay of twenty-one days, I've finally managed to make a GM post. Sorry for the wait, fam. We're gonna need more chairs, then. I hope to have my senator ready for duty soon now that holiday break is done! After yet another unacceptably-long delay, here's another GM post. Apologies that it's a rambling mess of a text wall - I was basically trying to expand a one-line post into something a bit...larger in size. Here's another "consistent" (ayy lmao) GM post. @Wes - are we doing roleplay reviews this month? If so, I'll have one done for Ascension by this weekend, as I have Friday (January 26th) off from work. Edit: Also, would @META_mahn and/or @Alex Hart mind posting in this thread, please? Sorry for not saying something sooner. Once again, science has shown that FrostJaeger takes forever to write GM posts. @Alex Hart and @club24, I'll try and post tonight or tomorrow in the side thread - though I can't make any promises >.<. Worst case, I'll be posting on my day off (Saturday, iirc). Something something science confirms the obvious. 19 days is pathetic, even for me. I know I keep saying this, but sorry y'all. TL;DR: New thread by April 5th due to 45-hour+ work weeks. I'm also going to try to post the rest of Ascension's plot plan and the overall faction plan for Elysia, but until my work schedule settles down I can't make any promises. Lastly, I'm going to start making monthly updates for Elysia in a fashion/format/etc. similar to what @Legix does for Nepleslia. 10/10 originality, amirite? It might be better to make short posts more often than try to wait for more free time. "Consistency beats the occasional flash of brilliance."